Chili Piper lives as a Chrome extension. Though very rare, some users may experience issues with the app not working due to certain browser restrictions. 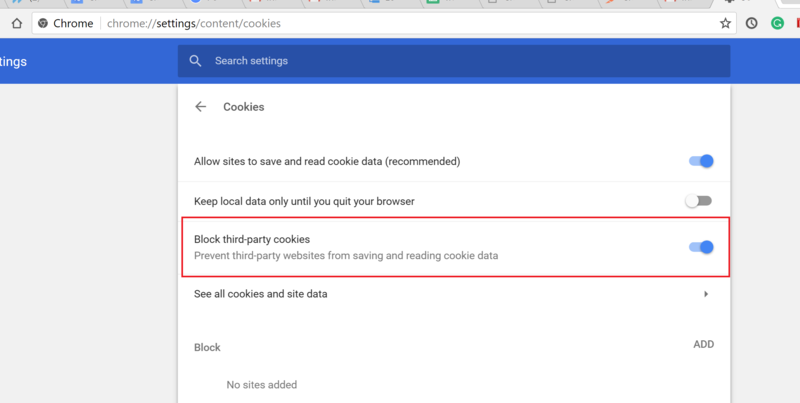 In the case, you experience an issue with Chili Piper not working in Chrome, check to see if your browser is blocking third-party cookies (picture below). If "Block third-party cookies" is enabled the Chili Piper component and buttons do not show up or if they show up, they don't work properly. Make sure to uncheck the box and all things will be back to normal and working correctly.